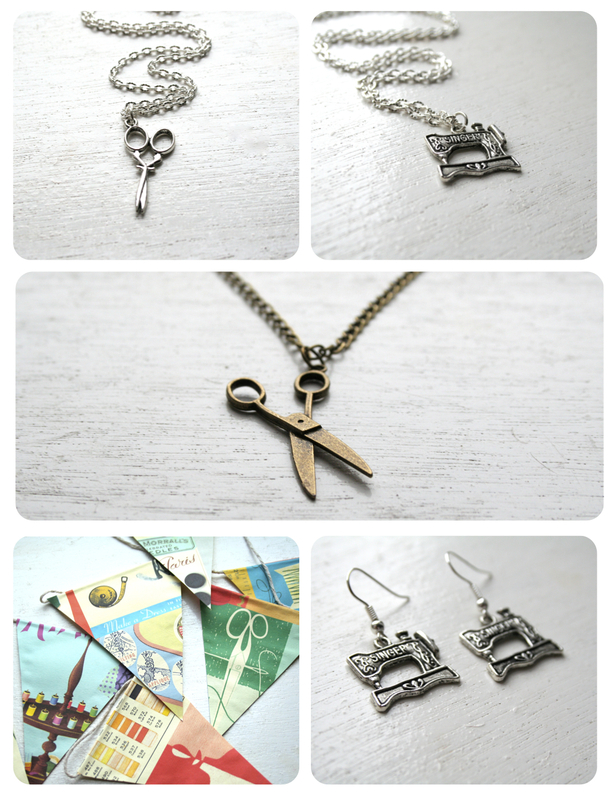 Jewellery To Wear Whilst Sewing! Today I sat down and had a good sort out of my Etsy shop. I listed some brand new items, re-newed and edited some Christmas listings from last year, and changed my settings so that I now accept credit cards and Etsy gift cards. 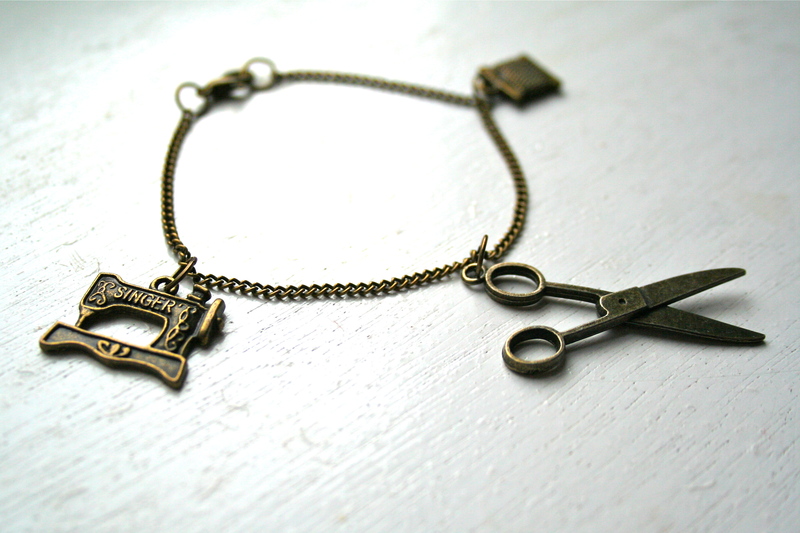 Two of my new items are sewing themed charm bracelets featuring little scissors, thread, wool and sewing machine charms. It made me realise that I’ve made quite a lot of items that focus on creating, crafting and sewing, and that they would make perfect gifts for the people that love to do just that! All of the above items can be found in my Etsy shop! Have you been making anything new this week? Head over to Handmade Monday to catch up with lots of fabulous crafty blogs! They are really lovely, and the charms are perfect for us craft-y types. 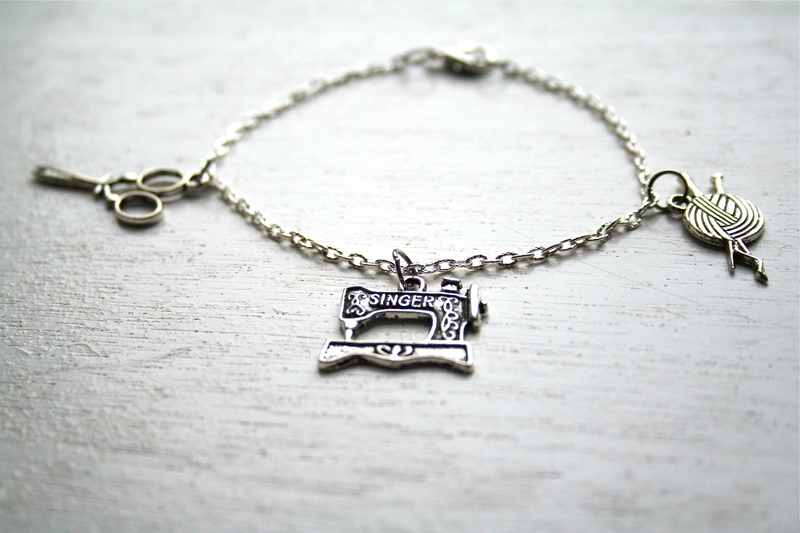 love those sewing machine charms!